Flashback Friday: The Clark Fork in Montana, and a Magic Trick! The Clark Fork of the Columbia River in Montana was, as late as 1955, classified by the Montana Water Pollution Control Council as an “industrial river” and unfit for use by the public. The water was dead, poisoned by waste from the copper mines outside of Butte and the smelter at Anaconda. 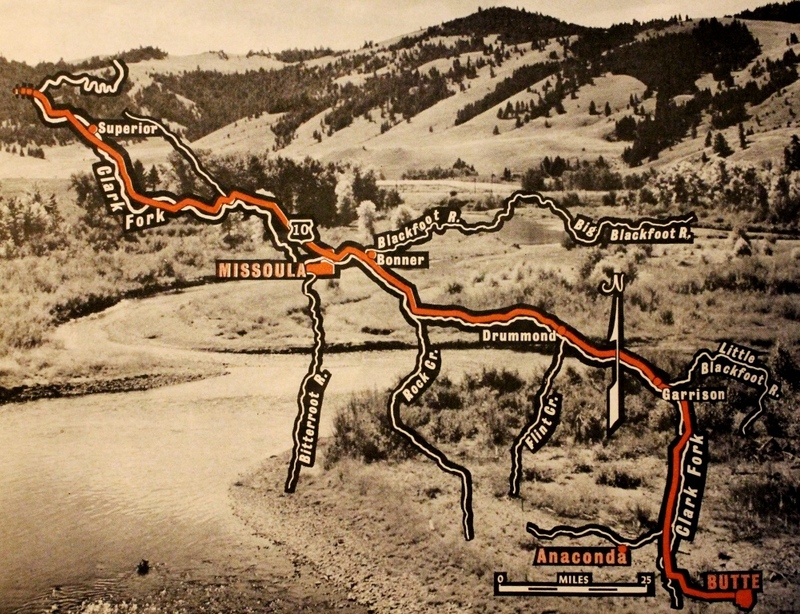 Driving along the river on U.S. Highway 10 every summer, Joe Brooks groaned at the sight of all that water that couldn’t support life as he made his way to fish above the Clark Fork in waters such as Rock Creek. 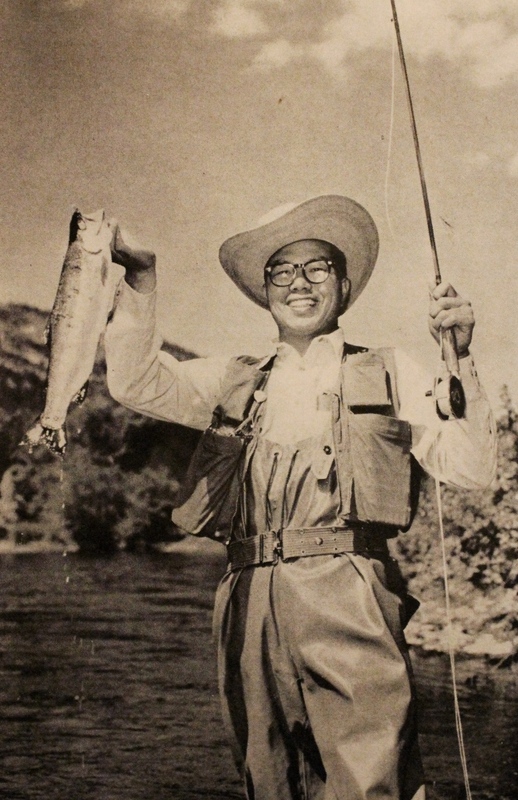 That evening, back in the comfort of Rock Creek Lodge, their experience was confirmed by De Yip Louie, a magician performing at the fair in Missoula, who had just had his picture taken for the Missoula paper with a 4-pound, 12-ounce, trout he’d caught that morning. Joe Brooks took his picture for Field & Stream with a 2-pound rainbow. The pH of the river was an acidic 3.5 in 1956, and when not even the sewage from the city of Butte could raise it above 4.7 the Water Pollution Control Council pressured Anaconda into constructing new settling ponds and clarification pools. This project was so successful that, by 1964, the water below Warm Springs, just 20 miles downstream was deemed suitable, at least for agricultural and industrial use. What a nice, happy ending for everyone! Considered underrated and overlooked by many, the Clark Fork may not receive the attention of other Montana rivers, like the Yellowstone, Missouri, Bighorn, or Beaverhead, but it certainly holds fish. For that, everyone involved deserves a big pat on the back. Despite the scars along its flanks, the Clark Fork seems to be recovering and has become as productive as its more well-known neighbors. But what of the mines and the smelter and the dikes and the ponds Anaconda built to keep the river clean? The smelter at Anaconda closed in 1980, costing thousands of jobs. By some estimates, more than 65,000 acres were affected by the operations there and in 1983 the Environmental Protection Agency placed the site on its Superfund Cleanup list. 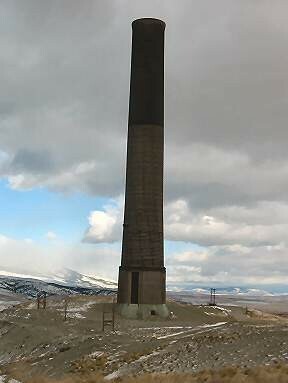 The Clark Fork River Technical Assistance Committee estimates waste volume at Anaconda to include 230 million cubic yards of concentrated mine tailings, 30 million cubic yards of furnace slags, 500,000 cubic yards of flue dust, and 300 square miles of contaminated soils. Clean-up and remediation efforts have reduced human risks around the site and the area has experienced an economic rebound of sorts, but it is pretty clear that no fish in the river was not the only problem here and bigger waste ponds were not the solution. It was anglers who sounded the first alarm, leading to nearly 50 years of effort to deal with 100 years of damage, and anglers continue to monitor the progress. But there is more to this story than catching fish downstream from the largest, most polluted Superfund Site ever. Joe Brooks went on to become a fly fishing legend. His articles, books and antics are well known. Not so well known is De Yip Louie, the handsome magician in the picture above, who went fishing while playing the fair in Missoula. He went on to have quite a life of his own. According to his entry on MagicPedia (a sort of wikipedia for magicians), Louie, also known as De Yip Loo, served in the Quartermaster Corps in the Pacific after World War II, toured with Red Skelton, and made a chicken disappear on the premier of WGN-TV’s Bozo’s Circus in 1961. His 20th and final appearance on Bozo’s Circus was in 1980. An avid outdoorsman, he performed shows for outdoorsfolk wearing waders and a vest, instead of his usual, traditional Chinese garb. After a 60-year career, Louie suffered a stroke and retired in 1998. He died on March 6, 2013, at the age of 87. It seems the river was not the only thing in that article with a past…and a future. Pretty much a happy ending for the Clark Fork and the Cluck Cluck! kiddies there with Louie. A cool local history. It’s funny where things can lead, following obscure threads from old magazines! Entertaining ending to the story! I have customers who have fished both my Floating Caddis Emerger pattern and my Extended Body Slate Drakes (during a Western March Brown hatch) on the Clark Fork, and they caught lots of trout and big ones too, there during three trips last summer. It’s good that Mother Nature can be so resilient. Your Floating Caddis Emerger seems to work many places, Don! If not for the anglers, who knows what would be going on with our waters? I fished the “Clark” in 1992 and had a great time. In the evening, when a hatch was coming off, you could look downstream and see nothing but fish heads sticking out of the water. At that time, the first two miles below the holding ponds were designated as “Trophy Trout Waters” and was strictly catch and release due to the heavy metals contamination. Some of the locals actually ate their fish caught in the Clark even though as you waded the water and looked down on the gravel bed you can see evidence of all the smelting done in Anaconda. Even so, it is a must go, see, fish destination if you go to “the Big Sky Country”. It’s nice to see you, Mr. Hart! The juxtaposition between mining waste/destruction and trophy fish might be a bit jarring to some, but it’s quite a story. 1992? That’s way back in the 20th Century! Thank you. I wish I known about this sooner. And I can’t, for the life of me figure out why I didn’t contact you when I posted it! This is one of my favorites. Your father’s story is fascinating and I’m glad you found my little corner of the interweb. Thanks for the Tweet and the like! I totally understand. I loved finding this. It was like a belated Christmas gift. Thanks for keeping his fire glowing, this makes the world know more about what an amazing man he is.